Quadax® butterfly valves with a unique four-offset design and new manufacturing technology meet the highest tightness requirements under extreme conditions. A quadruple (four offset) design. Quadax® meets the highest tightness requirements, even under extreme temperature conditions, ranging from -450 °F to +1500 °F. 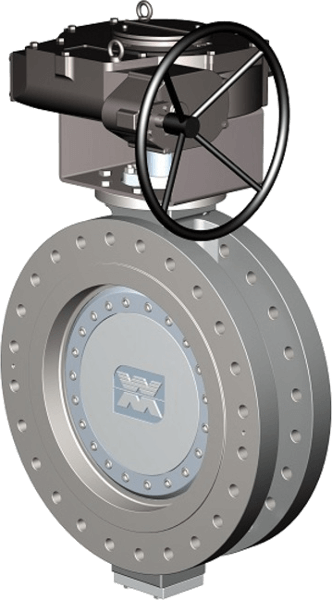 Triple offset butterfly valves have been around for years. With definite advantages over rubber lined and double offset valves, they are currently widely used in industry. Offset 1: The valve shaft is offset from the centerline of the valve seat. Offset 2: The valve shaft is offset from the centerline of the pipe. Offset 3: The disc seal shape is manufactured to the shape of a slice from a round cone whose axis is offset from the centerline of the pipe. The shape of the slice is an ellipse. Quadax® utilizes a patented seal design that results in a sealing surface that is ROUND. The benefits of a round seal are many, giving us significant advantages over triple offset valves. Offset 4: The cone shape is stretched to an ellipse. The disc seal made to the shape of a slice from this elliptical cone, results in a seal that is perfectly round. The cone shape is stretched to an ellipse. The disc seal made to the shape of a slice from this elliptical cone, results in a seal that is perfectly round. For more information, please contact Pickford today. Sizes: 8” up to 48” Construction: Triple excentric. Cryogenic (Extended Bonnet). Resilient Seat (Soft or laminar). Fully bidirectional. Fire safe as per API 607. Temperature: Down to -196ºC Type: Side Entry or Double flange (Short Pattern) as per API 609 category B. 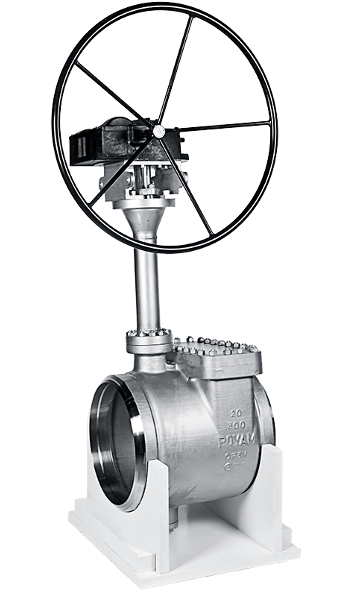 This valve is very versatile and may be used for isolating or regulating flows. It is lighter in weight than other types of valves and requires relatively low pressure drops. Amongst its many advantages are: less wear and tear of the axis, less friction resulting in less torque, a more economic actuator, etc. resulting in a very useful valve.